Quite a few of the items in the document are pretty typical in any sort of Terms of Service agreement. These include details like waiving your right to a juried trial and agreeing to go into arbitration instead. Oculus can also terminate your service for myriad reasons, and third parties can collect information on you. However, there are some even more devilish details in the Rift’s full Terms of Service. Basically, if you create something and then blast it out into the world using the pipelines that Oculus provides, the company can use it—and they don’t have to pay you for using it. Oculus can use it even if you don’t agree with its use. Oculus does not go as far as saying that it owns the content—but it can does want access to it in ways that some creators might find intrusive. This probably doesn’t matter much if you’re using the device as a gaming platform, but with a new type of device that’s out there, there are a whole range of unforeseen uses. Based on the wording of the Terms of Service, a creative developer could make a piece of interactive artwork that Oculus could then use for an Oculus ad without the artist’s permission. Who knows what else VR might allow people to create. 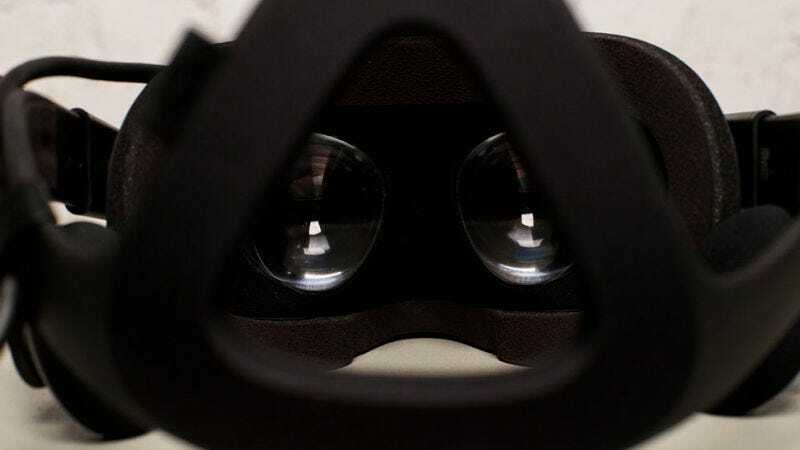 But to do so—at least initially with the Oculus Rift—you might lose out on exclusivity with your work, something that’s important for writers and artists. This is kind of creepy! Given that Oculus can collect information about how you move and how you’re shaped. The Facebook-owned company can use your location and log your activity, and it can even do so automatically. And on a related note, given that Facebook owns Oculus, it’s not surprising that the Terms of Service also include language that allows the company to monetize your experience: that is, after all, what the Facebook platform has been historically extremely good at. What’s most worrisome here is that the emergence of VR technology opens up an new type of data for companies to mine en masse which can be collected efficiently. The fact that Oculus, the clear leader in the new VR marketplace, is setting this precedent could be dangerous for the future of the technology. Furthermore, as UploadVR noted, the Oculus Rift is a device that is always on (much like Microsoft’s Xbox One Kinect feature) which leads to further concerns about when the information will be collected. Who the hell knows when and where the NSA will get involved.